Deconstructing Comics #584: Don’t “get” manga? Try these two. Many Westerners feel a bit puzzled by Japanese comics — the subject matter, the art style, the pacing, etc. Koom has been trying for some time to grasp what he’s not “getting” about manga. Meanwhile, manga translator Kumar is about done with “explaining” Japanese comics to people, but he makes an exception for Koom (and the podcast). 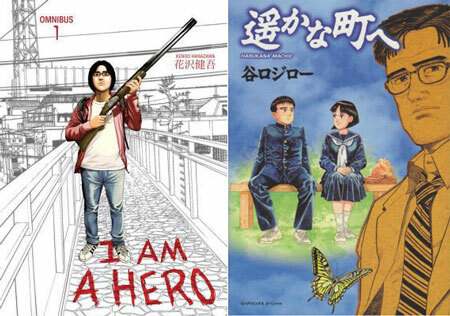 They discuss I Am a Hero by Kengo Hanazawa, and A Distant Neighborhood by Jiro Taniguchi — both translated by none other than Kumar! This entry was posted in Deconstructing Comics and tagged Dark Horse, Japan, Jiro Taniguchi, Kengo Hanazawa, manga, Ponent Mon by TimDC. Bookmark the permalink.